Ed’s Heating Cooling Plumbing Electric provides residents in Tipp City, Dayton and the surrounding communities with unmatched service and affordability when it comes to heating your home or office. Our trained technicians work closely with our clients, helping them select and install the most efficient furnaces, heat pumps or ductless heating systems to fit their specific needs and budgets. 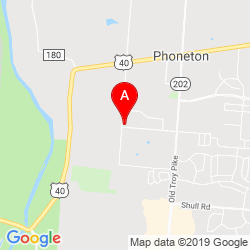 We also provide 24-hour furnace repair and maintenance for almost any make or model of heating system that may be present in your home already – offering reliable and efficient service in the event your furnace system fails. Want to replace your old gas furnace with a new, high-efficiency furnace or heat pump? Tired of the increased prices to refill your gas furnace system? Ever consider the benefits of a heat pump to replace or work with your electric furnace? The professionals at Ed’s Heating Cooling Plumbing Electric are trained specialists, ready to help guide you to a home heating system that is right for you. We have assisted numerous clients with both residential and commercial HVAC services in the greater Dayton area, to find the right fit with regards to heating and cooling systems – improving their efficiency and overall production. We offer a wide variety of furnaces and heat pumps from Bryant Heating and Cooling Systems – although our experienced technicians are able to install and repair any of the other major brands as well. 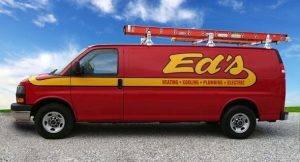 Ed’s invites you to schedule a consultation with one of our heating system installation experts and discover what thousands of our satisfied Dayton customers already know – when it comes to furnaces, heat pumps and home heating systems…no one does it like Ed’s Heating Cooling Plumbing Electric! Maintaining a comfortable home or office is important. When the time comes for furnace repair or maintenance to your existing heating system, Ed’s HVAC is ready to help! Our experienced technicians are courteous and professional – offering flexible scheduling and 24-hour emergency service if necessary. Once the issues are determined, our service staff will communicate clearly with you both the repairs that will be necessary and provide an estimate for the cost involved. 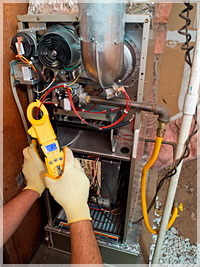 Our pricing for furnace repair and upkeep is generally among the most affordable in the Dayton area. We feel that our combination of furnace expertise, customer service and affordable pricing is an unbeatable combination. 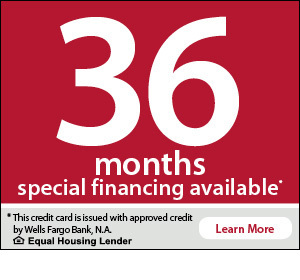 Be sure to contact us today to learn more about our seasonal specials, as well as our furnace and heating system installation options.